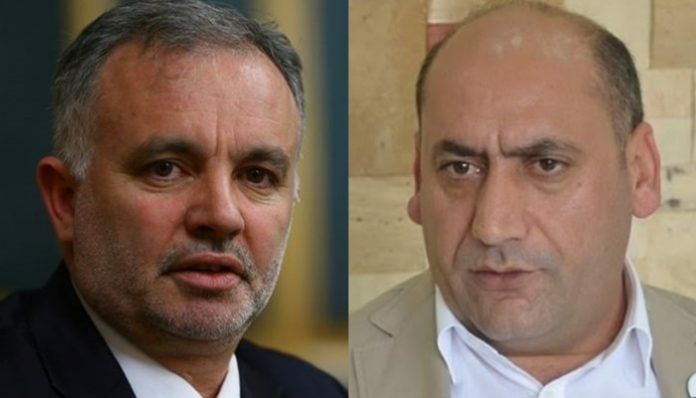 The Ankara Chief Public Prosecutor’s Office on Sunday launched an investigation into pro-Kurdish Peoples’ Democratic Party (HDP) deputies Ayhan Bilgen and Nadir Yıldırım for tweets critical of Turkish military operations in the Kurdish-controlled Afrin region of Syria. According a Cumhuriyet report, Bilgen and Yıldırım are accused of “incitement of hatred and hostility” through their messages on Twitter. The prosecutor’s office earlier on Sunday announced in a statement that investigations had been launched into individuals who have called on people to take to the streets to protest Turkey’s operations targeting Afrin. The Turkish Armed Forces backed by armored vehicles, special forces and infantry regiments have advanced five kilometers (three miles) inside Afrin, which is controlled by the Kurdish Democratic Union Party (PYD), the state-run Anadolu news agency reported on Sunday. Turkey views the PYD as the Syrian extension of the outlawed Kurdistan Workers’ Party (PKK).